It’s that time of year once again. Time for everyone to bring their Madden clicks to NoobTubeTV for our sliders and settings. This year is going to be a bit different in a few ways. First, it is going to involve an initial shift to All Pro for our sliders. This is due to numerous statements from the developers and EA Game Changers that All Pro is the best difficulty to use if you want the more balanced/realistic gameplay. Personally, I’m starting to wonder if the statements of balanced gameplay and realism rely more on the player instituting house rules for sim play against the CPU. I have noticed (like the rest of the Madden 17 players that there is a preponderance of fumbles and injuries (especially while simming). It seems that EA Tiburon has stepped up their game and will be supporting the Madden experience more than we have seen in years. I will be doing the same with these sliders and settings for CFM. Expect updates and tuning over the next couple months. I usually create sliders with the intent of realistic substitutions, stats, and challenge. I find that gameplay/player animations have a tendency of dictating weird situations and morphing on the field. It isn’t my prerogative to go through every game like Sim Football Critic does on YouTube. I have recently started watching his videos with more regularity and highly recommend tuning into his channel if you enjoy watching gameplay and hearing coherent commentary. Also, I tend to agree with his philosophy that messing with the sliders too much will severely alter the performance of the game and your experience playing it. Here’s the first iteration of our CFM Sliders for Madden 17. INJURY NOTE – This setting is totally up to the individual. You need to decide how you want to begin your franchise mode. Do you want to start with Week 1 Rosters? You might want to wait until the official Week 1 roster drops. Start your Franchise with injuries turned OFF and start your Franchise at Week 1 instead of Pre-Season. My personal settings are going to feature the latest roster update (as of August 26)… this means I will need to trade Mingo to New England for a 5thRound Pick. I will start with Pre-Existing Injuries Turned On with Pre-Season Injuries Turned Off. I want to start realistically with players out for 2016 that are injuried now, but I also want a chance to build my own team and deal with my own alternate Madden universe. There are many reasons to be excited about the end of April. The end of the school year, warmer spring weather, baseball season in full swing, etc. However, for me there are few times of the year I cherish more than NFL Draft Week. As a Cleveland Browns fan I always have some sort of broken sense of faith that makes me believe we have a chance to make the playoffs… or at least finish .500. In the first season of my Browns Franchise Peyton Hillis ran for 2213 yards and broke the single season rushing record as the Browns beat the Cowboys for their first Super Bowl! By the time September comes along it is usually a long foregone conclusion that the Browns will be terrible. This is where Madden’s Franchise Mode can be one of the more enjoyable parts of the NFL season for a fan of a terrible franchise much like my Browns. The trick to having a franchise last longer than one or two seasons is what most people look for and today we will give you a few different ways to get some longevity out of your Madden Franchise. First – Make sure you pick a team you either cheer for or want to build in the long-term. In my case, I chose the Browns and luckily they are both my favorite team and a team that is a long-term project. Second – Have a set of challenging sliders and house rules going into your Franchise. This is vital because nothing can derail a Franchise Mode faster than having your difficulty too high or too low. In my case, it was way too easy in my first two seasons with the Browns as we won two straight Super Bowls in 2011 and 2012. *Note* If you have something similar occur and can’t bear the idea of starting your Franchise from scratch you might have to invent a story. In my case – I came up with a story that the Pat Shurmur (Cleveland’s Coach) was caught up in a scandal to pretty much buy and cheat his way to Super Bowls in order to assure his position as Cleveland’s coach, he was then fired and kicked out of the league for a season (this is all months before the now famous ‘Bounty’ situation with Sean Payton, mind you!). 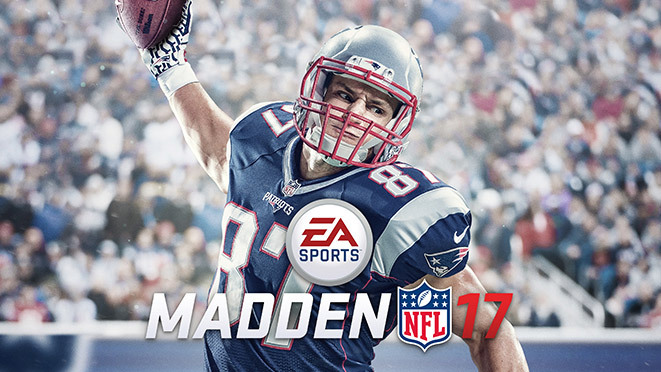 Third – Get to know your players and their abilities… Madden is more than just OVR (Overall) ratings. While Speed is still king in this game, make it your mission to build a team based on player skills or maybe even some sort of desire to take low OVR players and build them into budding superstars that came out of nowhere. Fourth – This is actually the most important part, but it is last on the list because it won’t take shape until at least 2 seasons into your franchise mode. Develop and create a storyline and share it with the gaming community! If you are one of those people that lose interest because there is no one to talk to about your team and you feel annoyed telling your significant other that you just drafted an A Potential QB in the 5th Round of the Draft and all they do is shrug… Tell the sports gaming community about it! Make a thread, develop some talent for Photoshop and story telling and make it your mission to be the best Coach/Team President and Reporter for your own enjoyment! Don’t get upset if you don’t get a lot of comments either. You must post the story for yourself and invest in your franchise mode for your own enjoyment first. As your talent and devotion grow you will have a greater audience. As an example, we will be starting a new Franchise Story on our Forums as well as posting updates and videos on Youtube as the story progresses. If you are getting that football itch like many others are it might be time to start a new franchise mode that will take you into early September for the next Madden and the beginning of a new football season!